How strong is your workplace culture? And will it help you grow? Home > Blog > How strong is your workplace culture? And will it help you grow? Peter Drucker famously said “culture eats strategy for breakfast.” Research shows this isn’t just a platitude, it’s also a non-negotiable — companies with stronger cultures are easier to align behind a strategy. Corporate culture has evolved much further than a motto on the wall of the headquarters to a major competitive advantage. 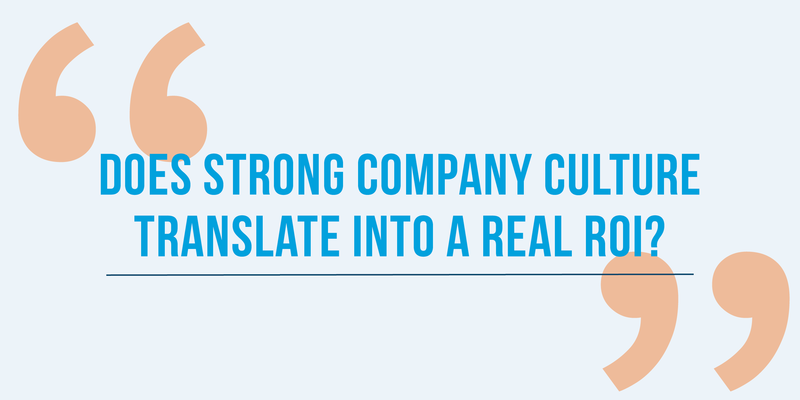 So why define your company culture? 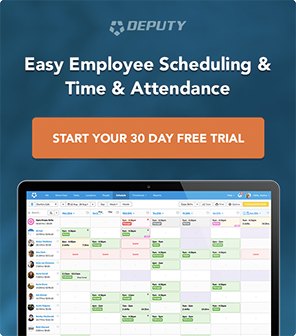 And how do you develop one that attracts employees and clients while still providing ROI for your organization? Read on to learn more about how you can marry a strong team with a winning strategy for business success. 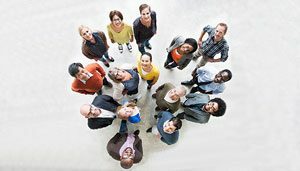 Companies like talking about their internal cultures — in fact, almost 9 out of every 10 companies in the S&P 500 dedicate whole sections of their websites to describing their internal cultures according to a 2013 study by The Massachusetts Institute of Technology. Clearly, companies are nuts about culture. But what do employees think? 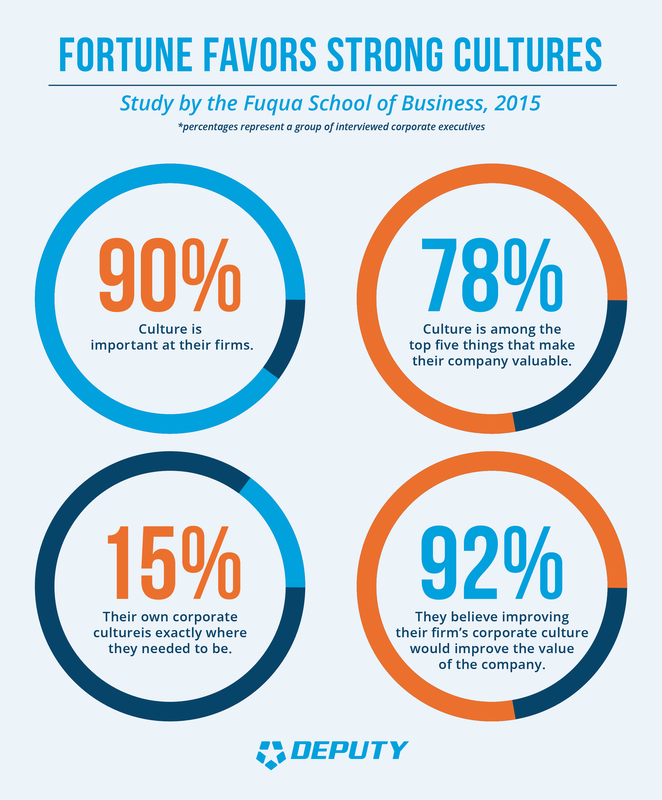 Culture trumps many other monetary incentives or benefits, according to an employee engagement study by staffing company, Randstad US in 2015. Clearly, there’s value in happy employees. But how about the bottom line? 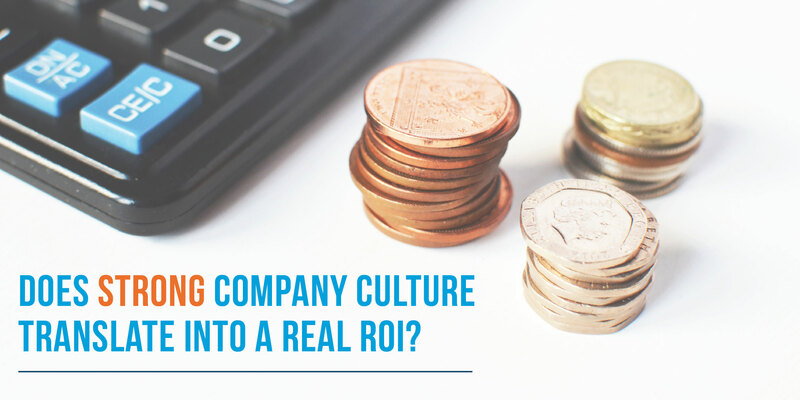 Does strong company culture translate into a real ROI? Engaged employees can help companies outperform competitors by more than 200% according to research from employer review and hiring site, Glassdoor in 2015. Spending 10% more on employee engagement drives company profits up by $2,400 an employee a year. That means if you have 25 employees, you add $60,000 without taking out a single ad or adding another FTE. And the next generation of employees, the millennials, are rewarding companies who provide true value to not only their careers, but to wider society with more interest, longer employment lengths, and better brand ambassadorship than companies who don’t. The key to defining a culture for your company is to know who you are. Be honest about what kind of employee thrives in your organization and the features that make you proud of where you work. Defining what the culture of your company is more than just helpful for your branding work and internal communications. Strong values help to not only help guide decisions that jive with stated company goals, but can also guide you to sweet spot clients who are culturally aligned with your business and find sweet spot employees suited to help further your company’s goals. Reject old-fashioned button-up company culture in favor of innovative thinking? Value employees who are passionate about the organization’s mission no matter what their rank? Reward employees that push the status quo and challenge convention but will never say “that’s not my job? (I know, we do!) Write them down and spread that message wide. 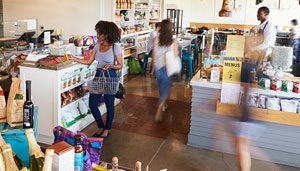 We’ve all heard of company cultures that we envy: QuikTrip investing in retail employees with higher salaries and benefits than their competitors which has resulted in a competitive advantage for both hiring and customer satisfaction. We’ve also heard stories of cultures within organizations that paint a less-rosy picture: queue The New York Times‘ exposé on the patchwork of experiences different employees had at retail giant and internet behemoth Amazon. Social norms can be as powerful as written guidelines, especially when they come from groups of friends. 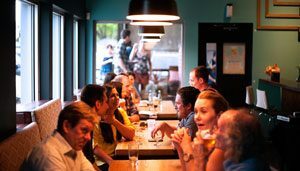 And although we all have friends who we’ve found through happenstance or good fortune, most people’s social circles are ruled by the proximity principle. Get people collaborating — Science Daily found in 2008 that “rather than picking our friends based on intentional choice and common values and interests, our friendships can be based on more superficial factors like proximity (think neighbors) or group assignments (your department at work).” Reinforcing your internal company culture doesn’t have to manifest in 10 new ping pong tables and a corporate treat to Oahu. It can simply be an open office design which places employees in closer proximity, allowing for more interaction and friendship to form and therefore higher satisfaction. Get people talking — Rather than sugarcoating or micromanaging, cultures with ways to provide constructive feedback through direct conversation can also help build relationships among team members. Build on your foundations — Add-ons like lunches out or company events can add additional support to these networks of trust and help teams align more quickly and perform more efficiently. Plus, happy workers are 12% more productive than unhappy ones. 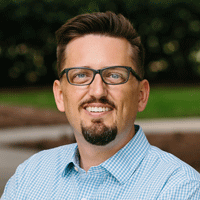 Happy, productive employees tend to also be the most engaged in a company’s mission — and help you deliver not only a great experience to your internal clients (your employees), but also provide top-notch service to your external clients, too.